All competition paperwork is due by orientation - August 4, 2018. The judging panel needs ample time to review your paperwork and prepare for the interview competition, so your paperwork must be submitted in a timely manner. If you have any questions, please contact us. Since the document must be notarized, you will need to turn in the hard copy at orientation. Any supplemental information applicable for you should be attached. If you have any questions on how to fill out the contract, please ask! Register at www.missamericaforkids.org in order to raise the required CMN donation (due by August 11, 2018). Before creating your page, please read the above Local Contestant Registration Instructions. We also have a CMN FAQ page available. Your résumé and platform issue statement are the first impression you will give the judges. Please proofread them carefully and include anything about yourself that may spark their interest. This paperwork must follow the Miss America approved format. We have provided you with a sample of a contestant's résumé and platform issue statement and the directions for correct formatting. Please follow them carefully. Eight (8) copies each of your résumé and platform issue statement are to be turned in at orientation. A final copy must also be uploaded below or e-mailed to Sheila Sigro (sheilamae116@aol.com) by the day of orientation. Although your talent music is not paperwork, it's also due at orientation. You may upload your 90 seconds or less talent selection in the form below or bring a copy on CD with you to orientation. Please note that talent selections are registered on a first come, first served basis, so it's important to register your music as soon as possible. Two contestants cannot perform to the same song even if they are performing different talents. For example, a singer and a dancer cannot both perform to "Orange Colored Sky". *You are responsible for making the desired cuts to your music. The time limit for the talent competition is 90 seconds. The version you turn is must be of competition quality. Talent CDs may not be enhanced. For example: Background vocals cannot sing the same words at the same time as the performer. If you find that you are having problems please contact us prior to orientation. 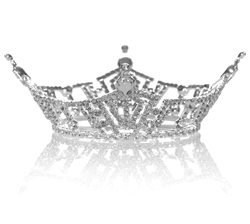 The Ashlee Baracy Community Service Award is an optional scholarship opportunity which seeks to encourage and reward the Miss Wayne County contestants who donate their time and talent to worthwhile community projects. This competition is judged by a separate judge and does not have a direct effect on the final outcome of the pageant. A one-page essay about your community service work. One reference letter from a non-relative who is in a position to evaluate your community service work. The legacy Award is an optional scholarship opportunity designed to commemorate our Miss Wayne County legacy, encourage leadership within our "sisterhood," as well as improve scholarship opportunities for the young women of Wayne County. Contestants interested in applying for this award will be required to submit an essay which will be judged by a separate panel of judges and does not have a direct eff t on the final outcome of the pageant. To enter this optional competition, please follow the instructions below and submit your easy by Dress Rehearsal - August 11, 2018.